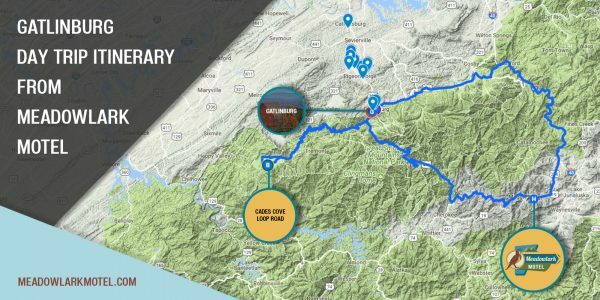 Scenic North Carolina road trips are a top tourist activity here in western North Carolina. People come from all over the world to visit Great Smoky Mountains National Park. In fact, it is the most visited park in the United States. 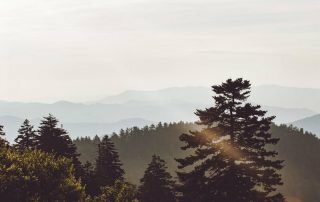 Running through those misty, magical mountains and valleys is the quintessential great American road trip (a rival with Historic Route 66) – The Blue Ridge Mountain Parkway. 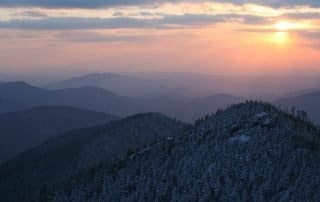 It is no wonder that the parkway tops our list of road trips from North Carolina, but we have uncovered some hidden jewels you may not know about. 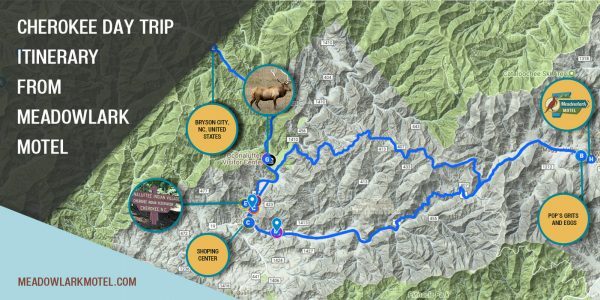 Blue Ridge Parkway Road Trip – Haywood County is home to 46 scenic miles of the 469-mile Blue Ridge Parkway that runs through the Great Smoky Mountains between North Carolina and Tennessee. 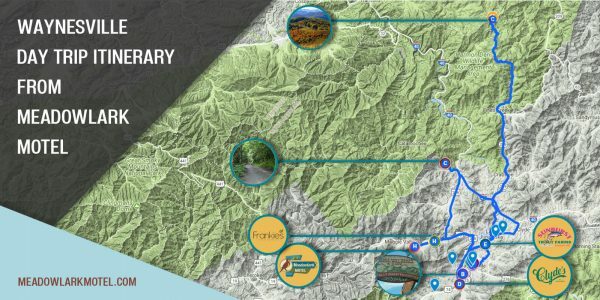 Open year-round, weather permitting, the Parkway can be accessed at four different locations, including US 19 at Soco Gap. At certain times, there may be closures for various reasons along the Parkway. Check the National Park Service for any closures during your planned road trip. 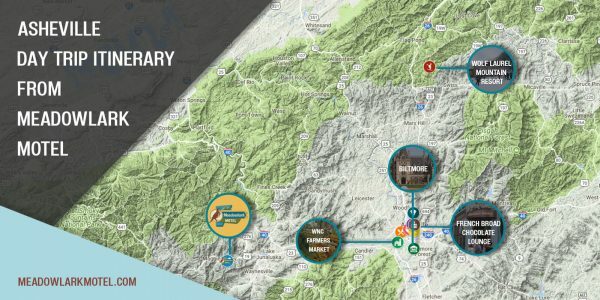 Yadkin Valley Road Trip & North Carolina Wine Trail – Discover the wineries of the Yadkin Valley in the foothills of the Blue Ridge Mountains in North Carolina. 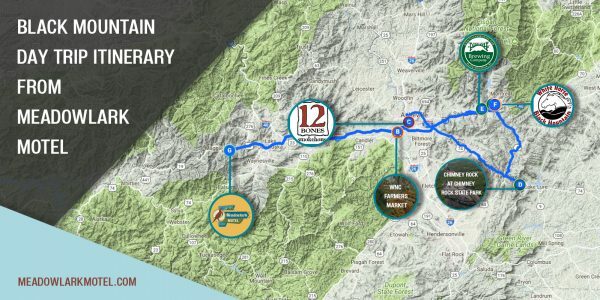 The town of Elkin, North Carolina, is the start of the Wine Trail tour. You’ll encounter three dozen vineyards on this road trip, each open to tours and wine purchases. View a Wine Trail map. 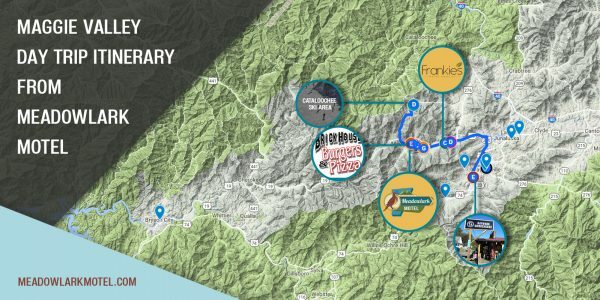 Maggie Valley Bike Rallies – Four annual Bike Rallies are held at the Maggie Valley Festival Grounds. Three are held in the summer and one in September. Get the details for upcoming annual rallies. 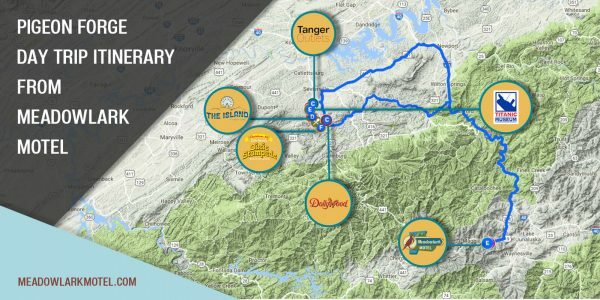 Casino Road Trip – Cruise from Maggie Valley to Cherokee for the ideal North Carolina casino road trip. Start at Maggie Valley and follow Hwy. 19 up to 441 at Cherokee. Harrah’s Cherokee Casino is located at 17 Sam Brady Road in Cherokee. Also stop by two Tribal Casino Gaming locations, one at 480 Paint Town Road in Cherokee and the second at 163 Children’s Home Road in Cherokee. Next stop, Harrah’s Cherokee Valley River Casino, located at 777 Casino Parkway in Murphy, North Carolina. 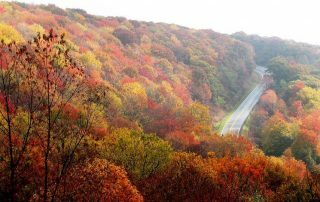 NC Peak Fall Foliage Road Trip – There are 100 species of native trees in the Great Smoky Mountains National Park. This amazing diversity contributes to the intensity of fall foliage resulting in the rich red, vivid orange and stunning yellow colors of the leaves during autumn – usually the last three weeks of October. 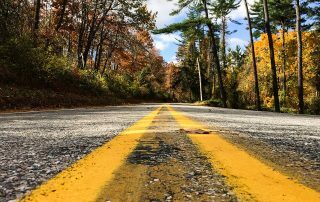 Peak foliage is impossible to predict with certainty, so plan your North Carolina road trip wisely using the official park website updates as a guide for peak foliage dates.